Tools Of The Trade 20-Piece Cutlery Set Just $34.99! Down From $85! You are here: Home / Instagram / Tools Of The Trade 20-Piece Cutlery Set Just $34.99! Down From $85! For a limited time only! 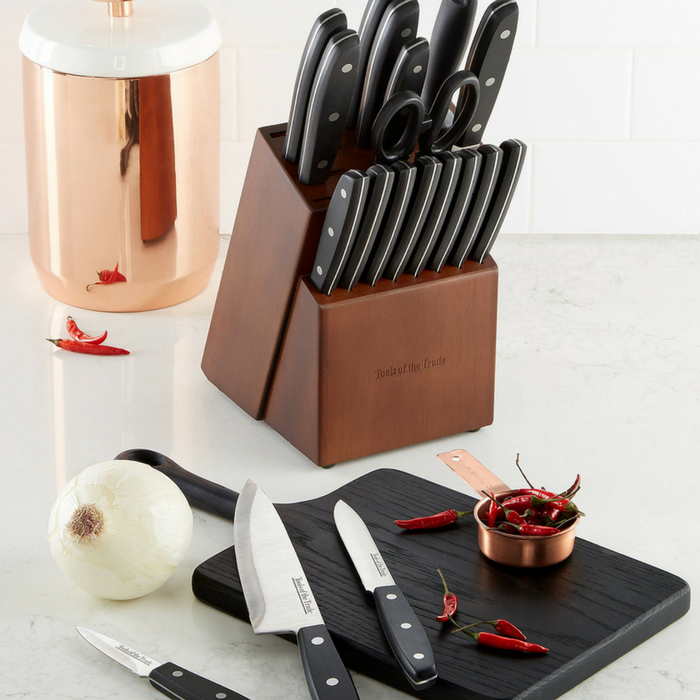 Head over to Macy’s and get this Tools Of The Trade 20-Piece Cutlery Set for just $34.99 down from $84.99 PLUS FREE shipping for orders $99 and above! Ready, set, prep! The best addition for a busy kitchen, this professional set features triple-riveted tools crafted from high quality stainless steel. Perfectly balanced blades put incredible control in your hand for a cut above the rest.